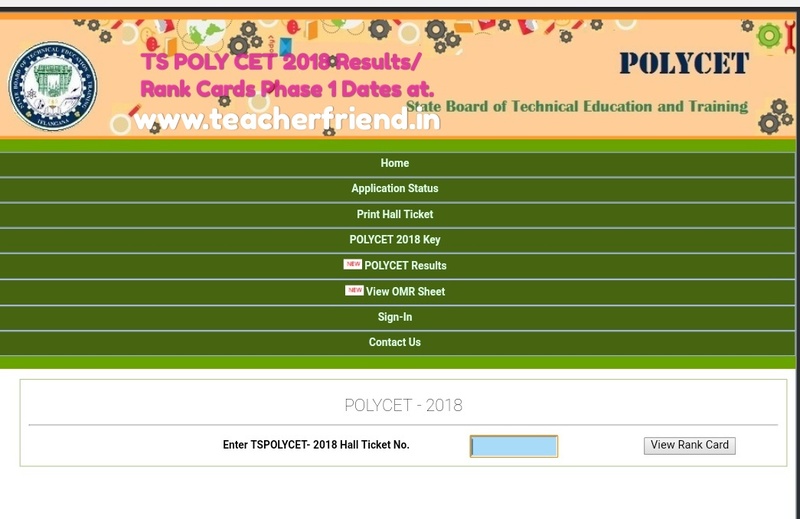 TS POLYCET 2018 Rank Cards Results Download at polycetts.nic.in/TS Polytechnic Common Entrance Test 2018 Results Rank cards Phase 1 web Counselling Schedule Dates and web options Enabled at polycetts.nic.in/Default.aspx/TS Poly CET 2018 Entrance Test Results Rank cards Phase wise Scheduled Dates Download at polycetts.nic.in. The State Board of Technical Education and Training, Telangana, Hyderabad will conduct “Polytechnic Common Entrance Test (POLYCET)” for the candidates seeking admission in to all Diploma Courses in Engineering /Non Engineering/Technology offered at Polytechnics /Institutions (including Aided and Unaided Private Polytechnics /Institutions running as 2nd shift in Private Engineering Colleges) in Telangana State for the academic year 2018 - 19. Get Download TS Polycet 2018 Results Click Here.